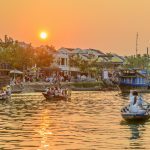 10 magnificent must-go places when you visit Phan Thiet - Living + Nomads – Travel tips, Guides, News & Information! 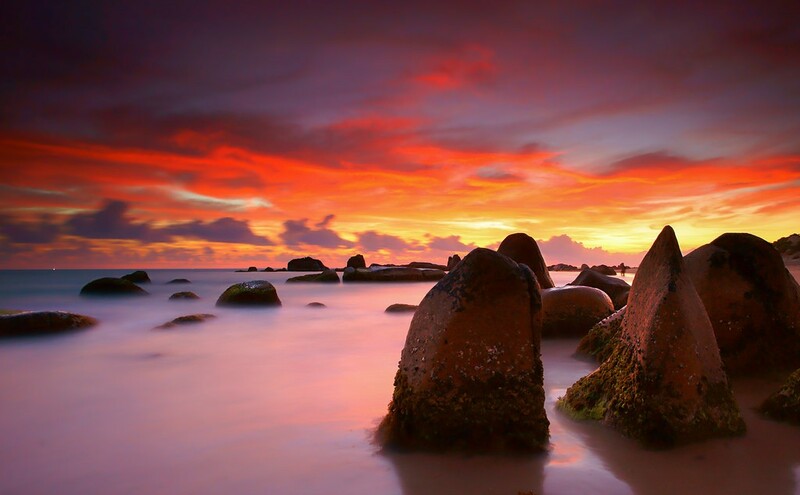 Phan Thiet is famous for the destination of natural landscapes and attractions to visit. 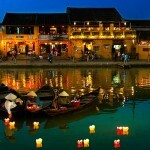 It is referred to be the ideal place to visit and discover the wild and stunning beauty of Vietnam. Mui Ne is known as the most famous and popular centre of travelling in Phan Thiet. 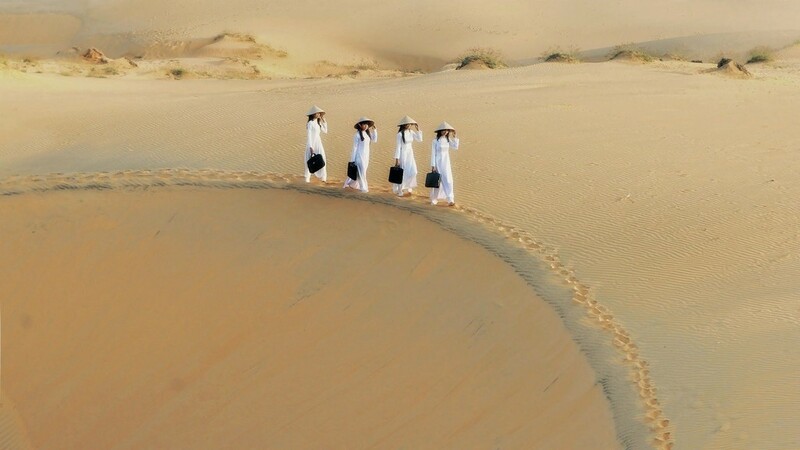 Visiting Mui Ne, tourists will go to visit the Sand Dunes which is very well-known and featuring in Phan Thiet. The sand dunes are immense and wild, it makes visitors feel like they are in Sahara desert. It is so wonderful and exciting to experience Sahara desert in Vietnam. Furthermore, there are two main colours of sand dunes being white and red sand dunes. This brings us the feelings of immersing into the destiny and leaving all of the concerns and sadness behind. 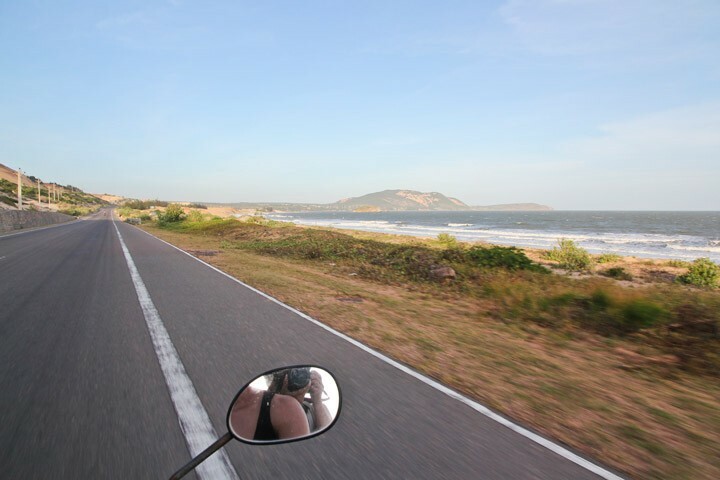 Here are 9 best places to visit in Phan Thiet you should not miss. 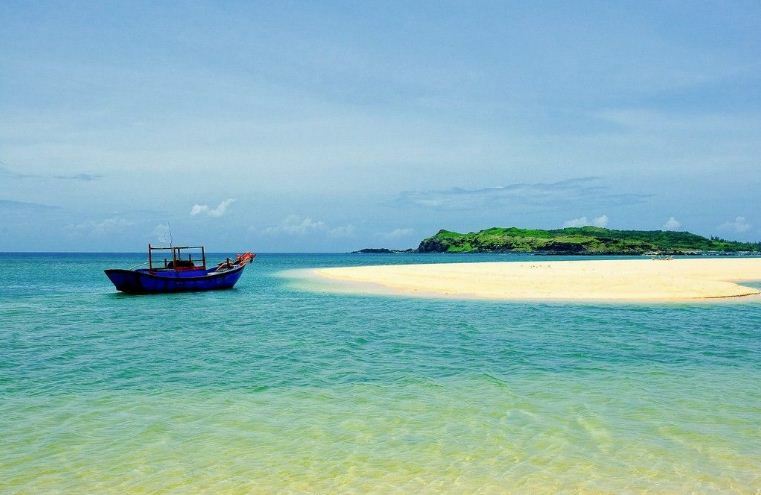 Also called as Cu Lao Thu, Phu Quy Island is a small island situated about 120km from Phan Thiet City. You will be impressed by the unspoiled scenery and almost no intervention of professional travel services. It also seems to retain the pristine, unpolluted environment. 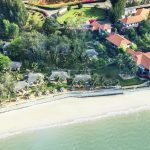 At times the sky peace quiet sea, the Small beach is the paradise of the sunshine, cool water, and melodious quiet space filled with unspoiled .That may be the reason why Phu Quy island is becoming the hot spot toward young travel addicts. 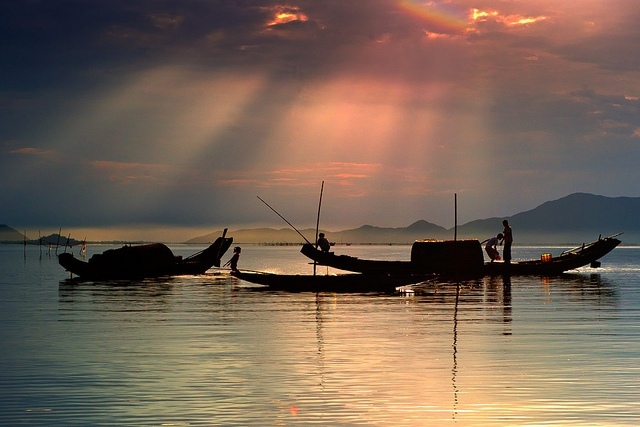 Not only does Phu Quy have delicious seafood, it also owns much picturesque natural scenery. 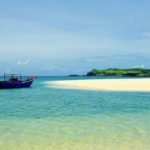 The fine yellow sandy beaches place everywhere, from Trieu Duong bay to Doi Dua beach in Ngu Phung or Small Beach-Ganh Hang, Doc Cai beaches. 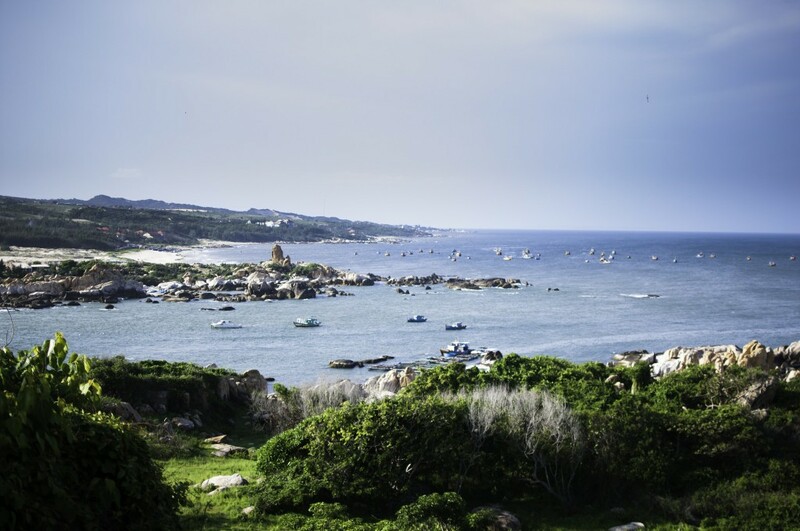 Phu Quy island is surrounded by many small islands such as Hon Tranh, Hon Den, Hon Trung, Hon Giua, Hon Do. If possible, you should visit these islands to feel thoroughly the pristine beauty endowed by nature. Also known as Bau Sen (Bàu Sen), Bau Trang Sand Dunes may be the biggest drawing card in Mui Ne, about 65km northeast of Phan Thiet. Bau Trang Sand Dunes is in Hong Lam commune, Hoa Thang village, Bac Binh district. Coming to here, visitors will be attracted by dunes’ colors range from gold to true white. 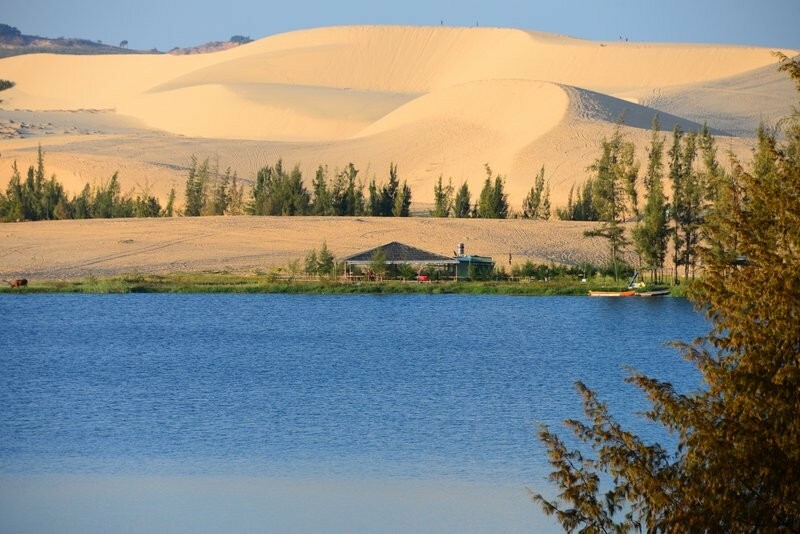 Moreover, there is a lake with fresh water located right in the middle of the huge sand dunes. From a distance, tourists will see a cool color of green covering the white color of sand dunes. The dune splits Bau Trang into two parts, named Bau Ba (Bàu Bà) and Bau Ong (Bàu Ông). 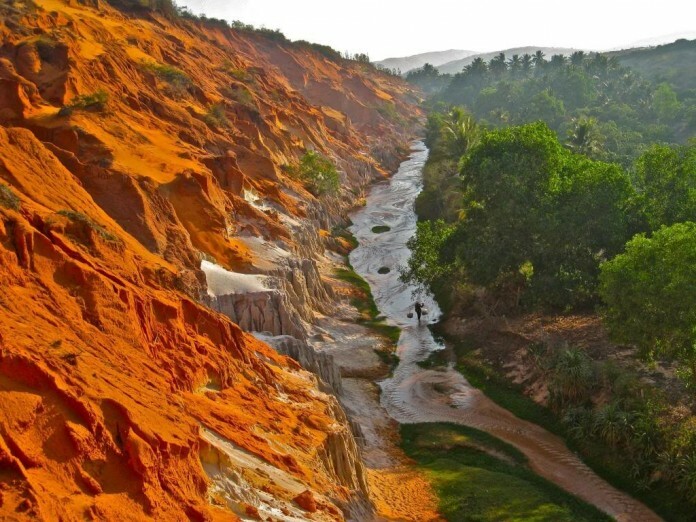 Nowadays, Bau Trang sand dunes become among the most impressive Phan Thiet – Mui Ne attractions because it relieves the scorching air of the vast sand dunes. It is said that the best time to come here is in the early morning and at sunset. Also known in Vietnamese as “Suối Tiên”, Fairy Stream is one of famous must-visit that visitors shouldn’t miss when coming to Phan Thiet. This stream is a little river winding its way through boulders, bamboo forests, and the dunes behind the village. Most parts of this stream are about ankle-deep, less than knee-deep even at the deepest point. You can walk comfortably on your barefoot as it is sandy with several stones. 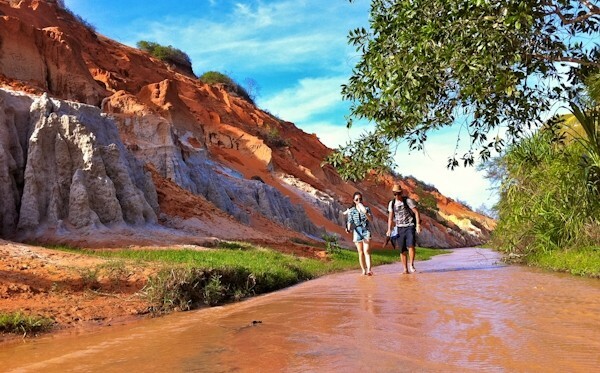 You could also climb up the red sand dunes overlooking river valley and even walk to the parallel level to the river, yet the sand might be hot on those sunny days, so it is better for you to bring suitable footwear. Fairy Stream is considered by visitors as “a paradise” because naturally eccentric shapes and colors of stones lying beside the stream. 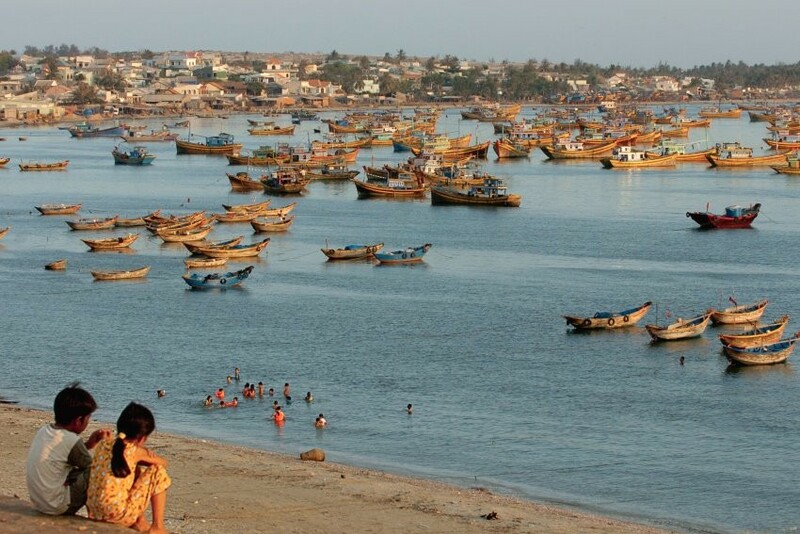 Mui Ne Fishing Village is about 3km north of Mui Ne Town. At the entrance to town is a panorama of hundreds of colorful fishing boats mooring on the water. Further along into town, just off the main road, there is a small but colorful market. The village also offers plenty of swaying palm trees, creating a peaceful air for this village. 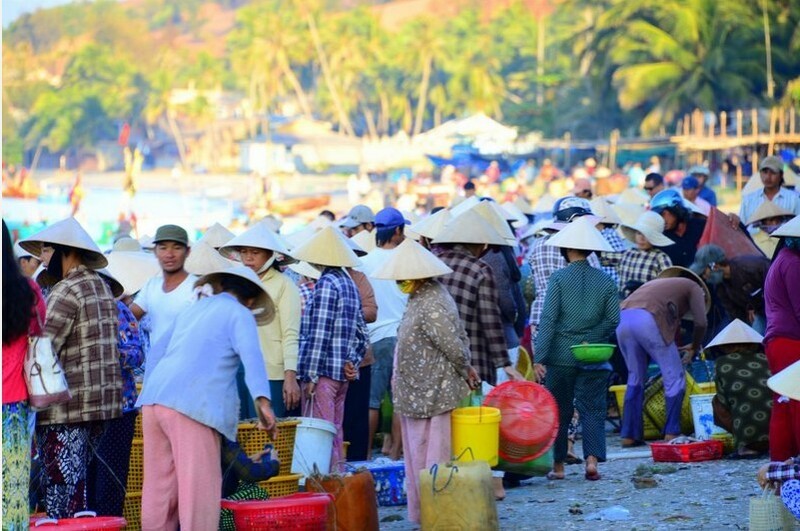 If you take your transport just down to the water, you will reach the fishing harbor where you can purchase fresh seafood or steamed crabs, shellfish, etc. to eat on the spot from local vendors. Walking along the beach, you will pass by fishermen sorting out their catch, ship-wharfs and, at the southern end of town, a section where clam have been rode off their shells for many years, so the sand on the beach is now substituted with littered shells. Co Thach Beach belongs to Tuy Phong district (Binh Thuan province), about 100 km far from Phan Thiet City. 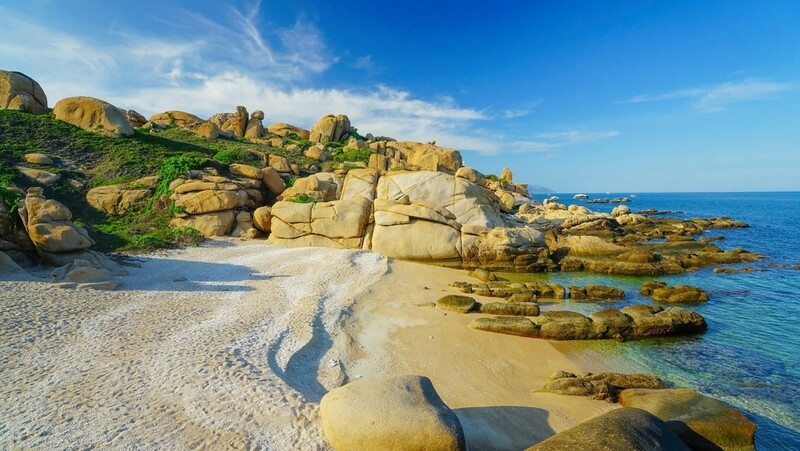 Like other beaches in outback regions of Binh Thuan, Co Thach beach still keeps the pristine beauty of crystal blue sea. 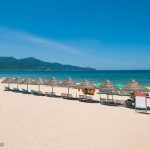 This is one of the most pristine beaches in Vietnam. 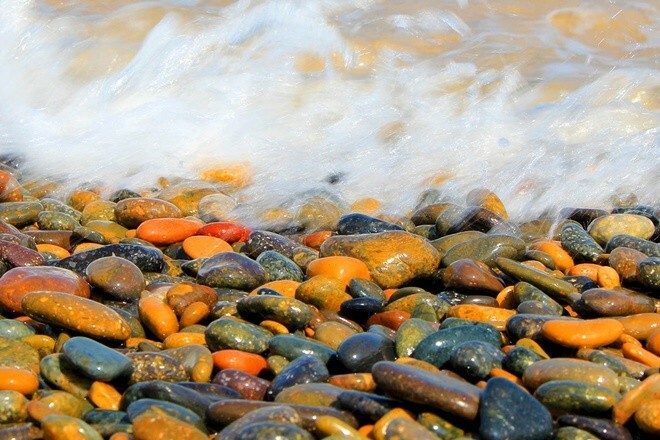 The beach is famous for seven-colored stones lying on the beach. The characteristics of this stone ground are due to the impact of tide, sea currents, sea water … stones of different sizes and different colors are a push from the sea to the shore. 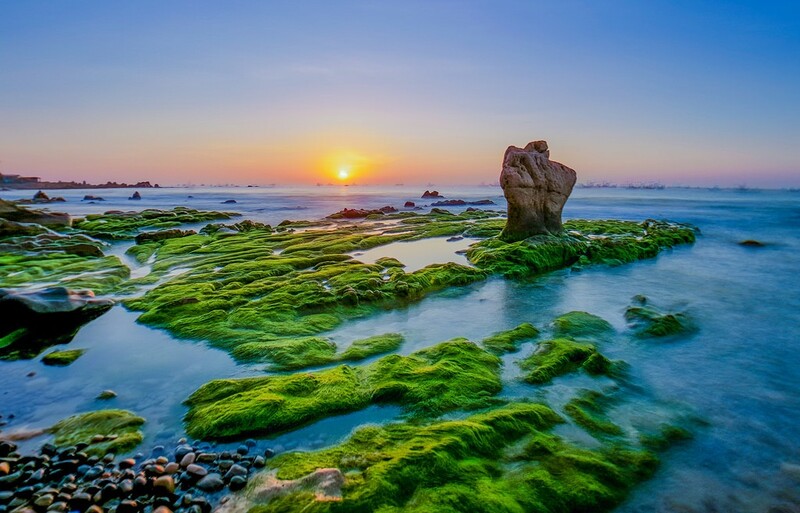 Moreover, Co Thach is also attractive because of the rocky bank, formed for hundred years and untouched through time, with so many different kinds of shape and size. Especially, Co Thach beach has Hang pagoda nearby, which is a grotto pagoda from the 19th century. 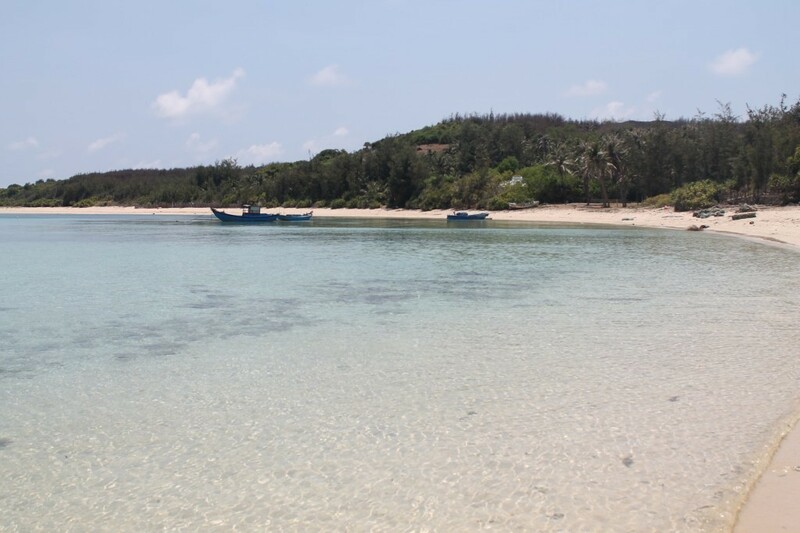 Ke Ga Island is in Thuan Quy village, Ham Thuan Nam beach, away from Phan Thiet about 30 kilometers. Its name was originated from the fact that there is a lighthouse on a headland having the shape of a chicken head. 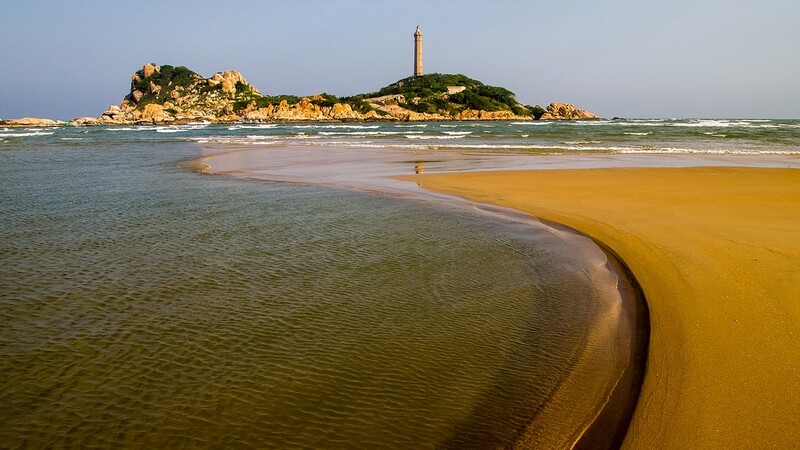 If Phan Thiet is renowned for its white sandy beaches, Mui Ke Ga lighthouse is a unique place where stones lying on each other create many big ones with eccentric appearance. This appearance induces curiosity for any visitors. Not many Vietnamese people know the existence of Ke Ga lighthouse- a newly interesting stopping place in Phan Thiet because it is quite pristine and secluded. However, many young backpackers love to go to Ke Ga lighthouse to enjoy the peaceful atmosphere and have a chance to discover the everlasting beauty during over 100 years of Mui Ke Ga lighthouse. It is attracting more and more visitors who want to discover one special architectural work and to relax in a charming and poetic place. 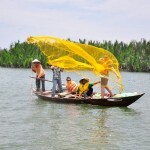 Cu Lao Cau island is in Phuoc The commune, Tuy Phong district. From the mainland, it looks like a big warship surrounded by tens of thousands of cliff blocks of different colors and shapes. This is a deserted island which is situated approximately 9km from the coastline. Tourists can spend about 1 hour and 30 minutes to get there by boat. On the island, there are thousands of rocks with a unique shape, alternating the velvety green lawn. It is really interesting when having a condition to observe the whole island carefully. Around this isle, the water is always clean and blue. When the tide goes down, on the seashore we can see numerous beautiful shells and corals pleasing the tourists’eyes. 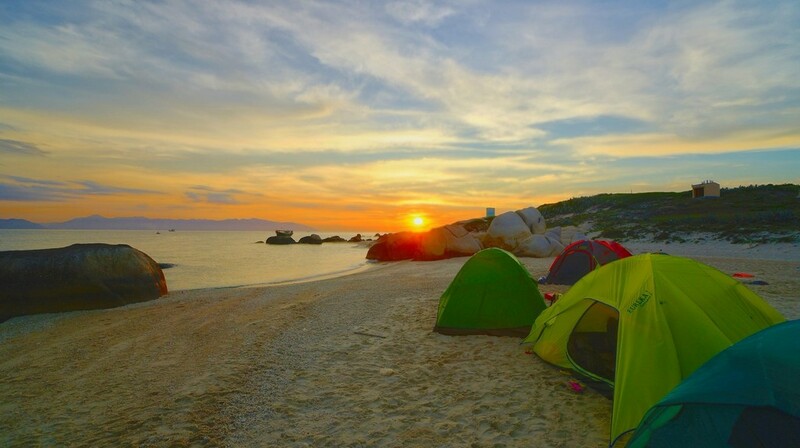 Cu Lao Cau island is one of the places that has Vietnam’s best ecological environment. With the beautiful neglected beach, presently, it is has been planned to be a marine life preservation zone and an eco-tourist site. The island will promisingly become an ideal ecological tourist attraction. 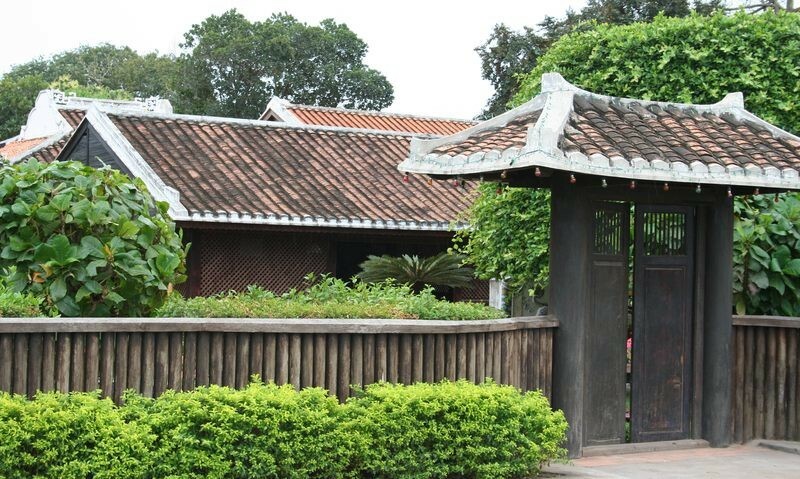 Duc Thanh School is seen from the outside. Photo: the Internet. 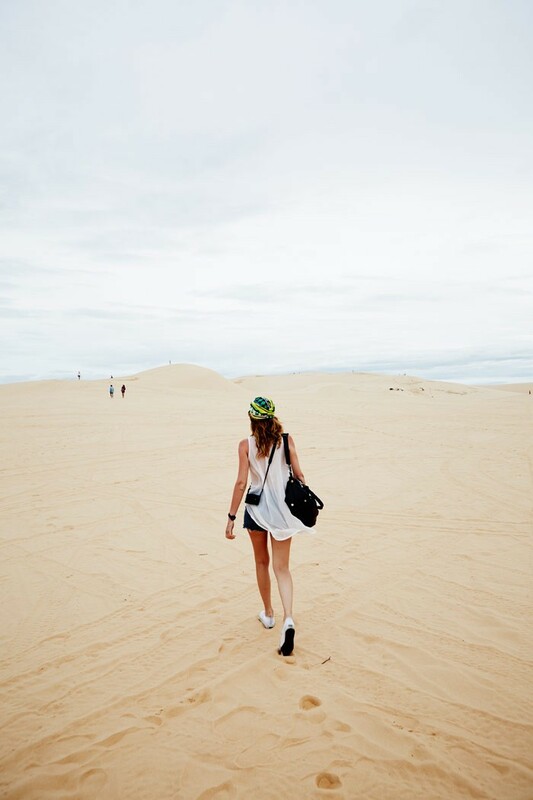 Mui Ne sand dune is the most invaluable treasure that Mother Nature gave to Phan Thiet. It has become one of the most attractive tourist sites around the whole world. The dunes range from pure white to gold and sometimes red when the sun comes down. And they never have fixed shaped, which make tourists never feel bored when they come here. 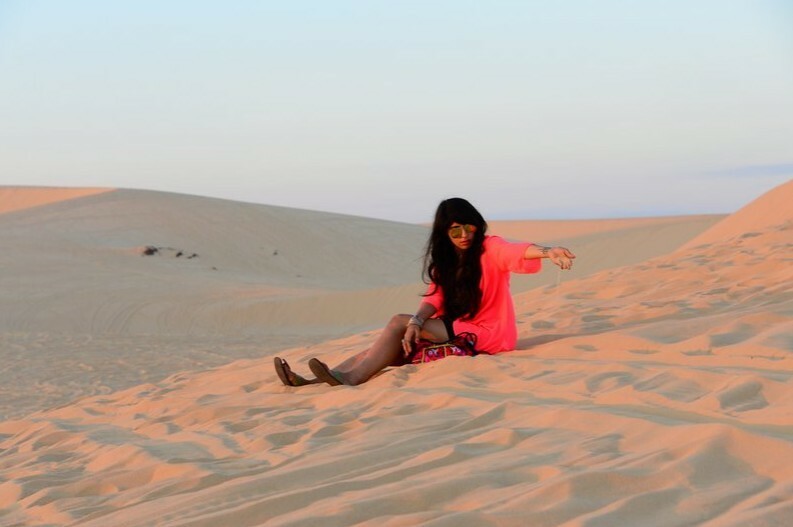 This place is not only the perfect spot for enjoying and taking pictures on beautiful enormous sand dunes but also the place for interesting games such as sand surfing. 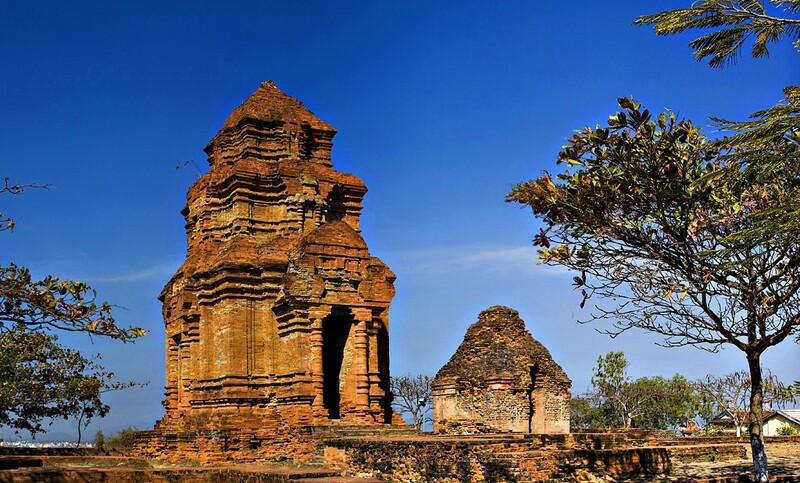 About 7km to the NorthEast of Phan Thiet City, Poshanu Cham Tower is situated on Ba Nai Hill, Phu Hai district of Phan Thiet. The Tower is the remnant of Ancient Champa Kingdom. It features the great architecture and decoration of the ancient Cham. Within the major tower, you will discover an altar, on which a symbol of the existence of Shiva Genie, a couple of Ligo-Yoni, is worshiped. Usually, the local fishermen come here to pray the Gods for a safe process of fishing and a big catch. Especially, when visiting the tower, tourists will have a chance to experience unique ceremonies and dances of Cham people. Read more Mui Ne travel guide at here.